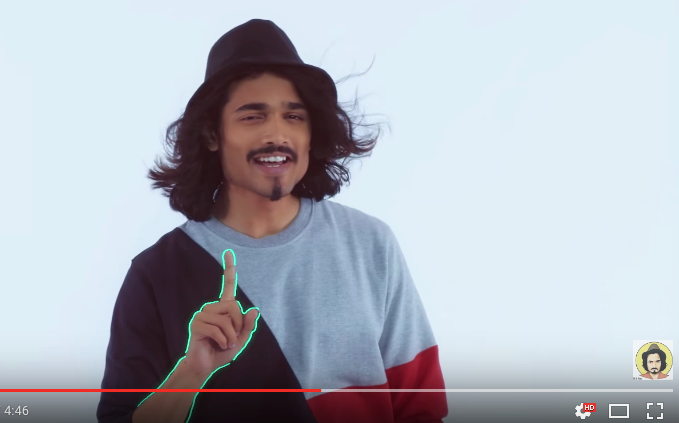 The Viral Fever and Bhuvan Bam finally come with the most unexpected turn. Teri Meri Kahaani song by Bhuvan is just a piece of art dedicated to Tankesh. Tankesh here refers to love story of unforgettable TV series couple of world famous series Parmanent Roommates. The song somehow also dictates the love story of Mikesh and Tanu. The thing which had personally impressed me, TVF had even mentioned the names of spot boys in the video description. We lives in the times where people didn’t even recognise the name of models in video song. The Viral Fever and Bhuvan had just won million hearts by doing a simple action of generosity. Kabhi peeche kabhi mere aagey..
Baatein kuch ankahee kuch bataani hai..
Teri meri meri teri baatein puraani hai. Kya mera kya tera hai yahan. Jo bhi hai bas usko baat le..
Khushi khushi hanstey hanstey tu kaat le..